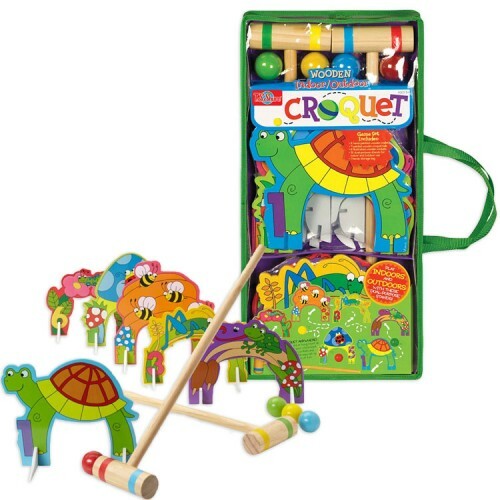 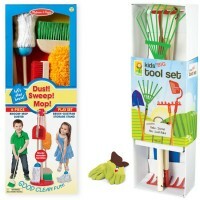 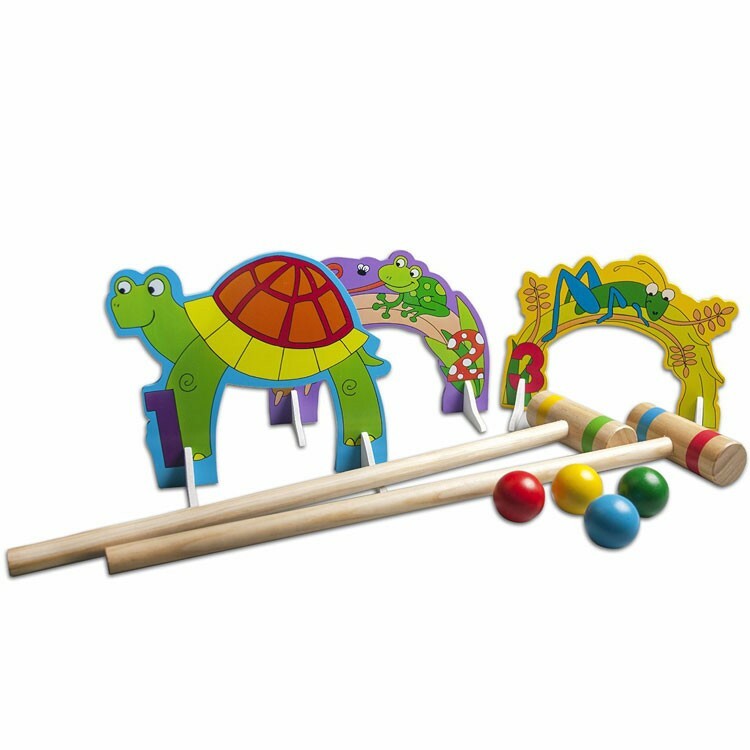 With this croquet toy playset children can create your own wooden croquet course anywhere! 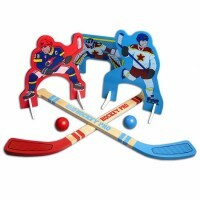 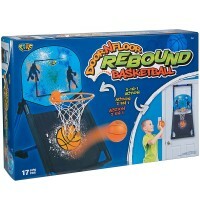 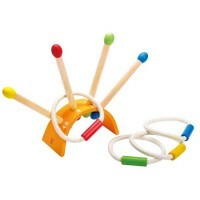 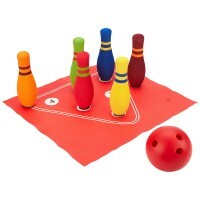 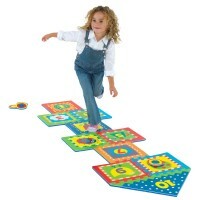 Play the fun croquet sport game right in your play room or backyard with this kids active toy. The T.S.Shure Kids Croquet Wooden Indoor & Outdoor Play Set is a colorful sport toy, especially designed for kids to enjoy. 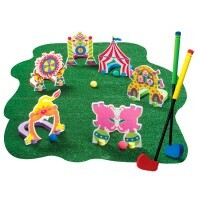 With this croquet toy playset from Educational Toys Planet you can create your own mini putt-putt croquet course anywhere! 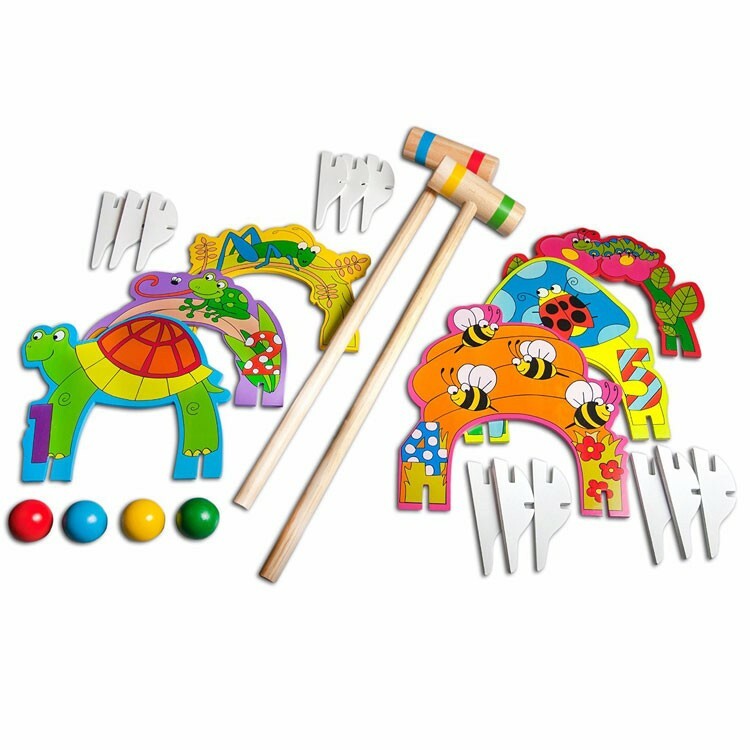 The Kids Croquet Wooden Indoor & Outdoor Play Set includes 6 screen-printed wooden wickets, 2 wooden kids sized croquet mallets, 4 wooden balls, and 12 dual purpose stands. 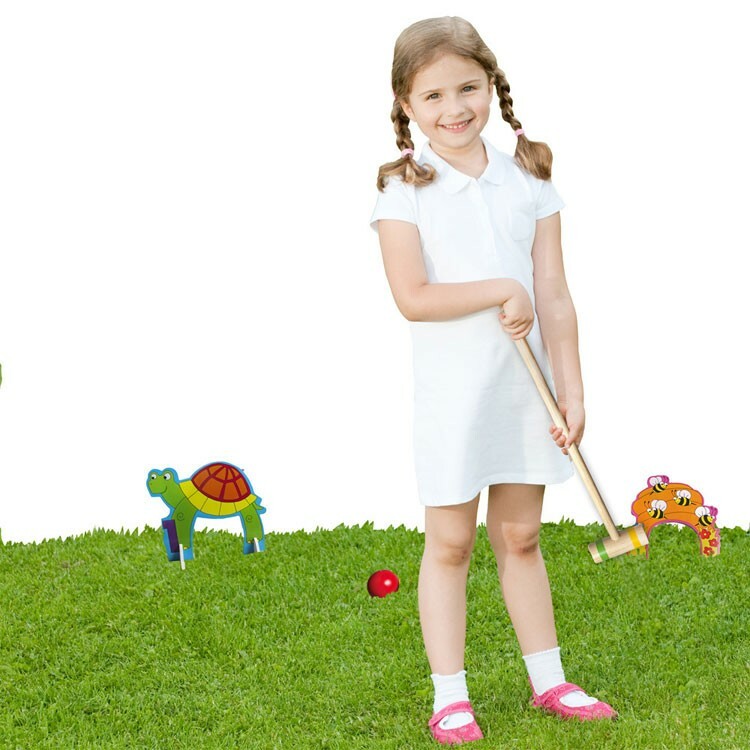 The entire kids croquet game sets up in minutes. 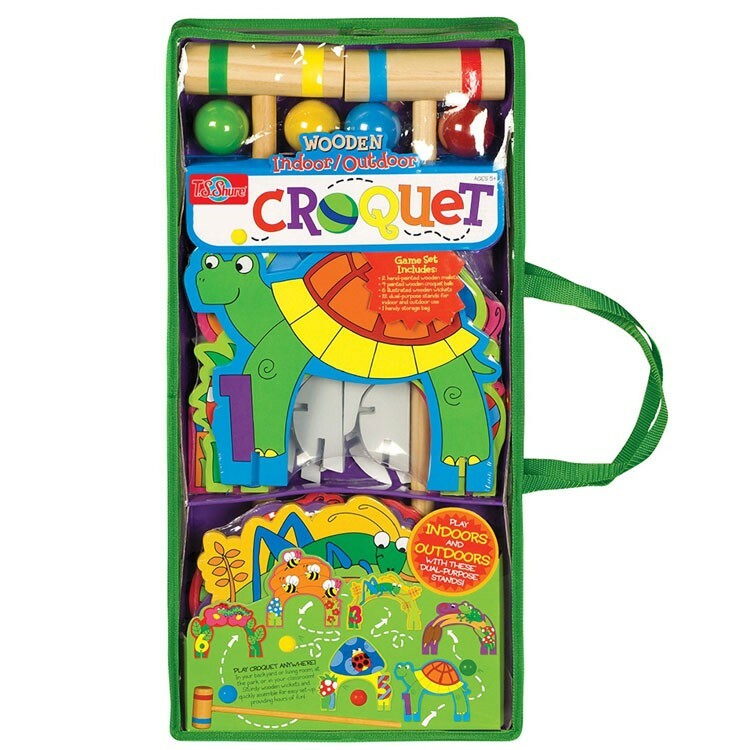 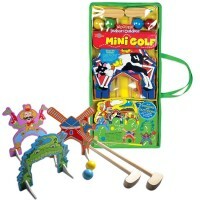 This children mini croquet set is easily stored in a convenient vinyl bag with zipper closure. 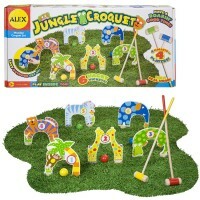 Bring your family and friends for a round of croquet with this exciting indoor & outdoor game set! 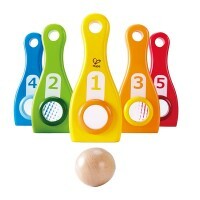 Dimensions of package 1.5" x 4.75" x 7.5"
Write your own review of Kids Croquet Wooden Indoor & Outdoor Play Set.